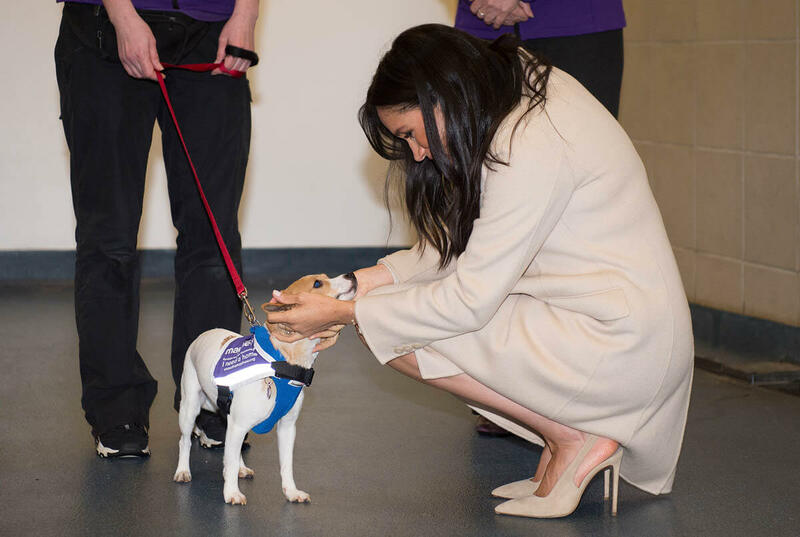 Meghan Markle visited animal charity Mayhew today, one of her four official patronages as announced last week to meet with staff, volunteers, and of course spend time with one of the animals. 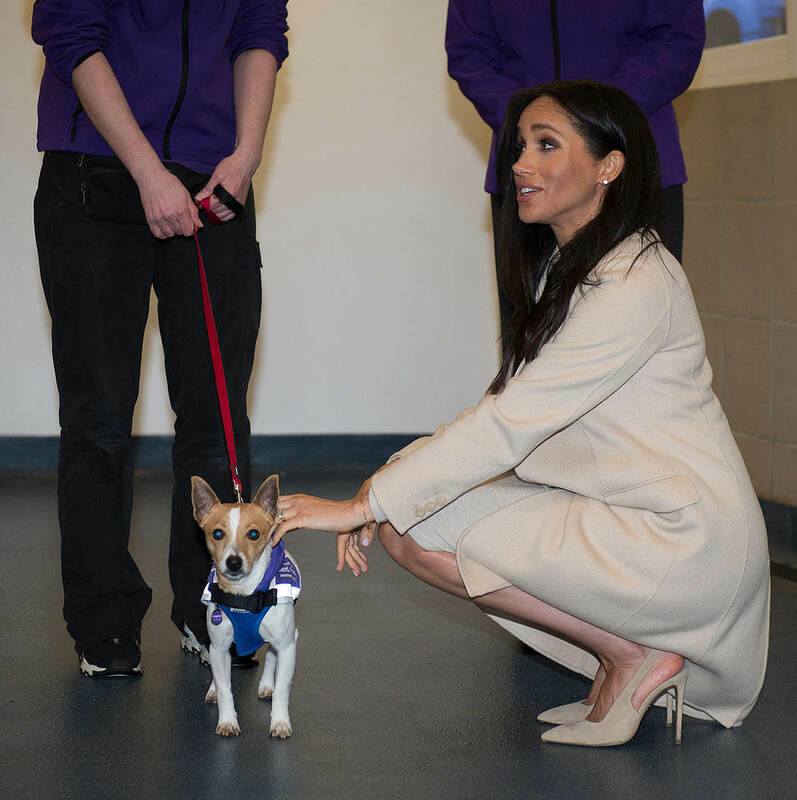 She bonded with one dog in particular – Minnie, a Jack Russell terrier. 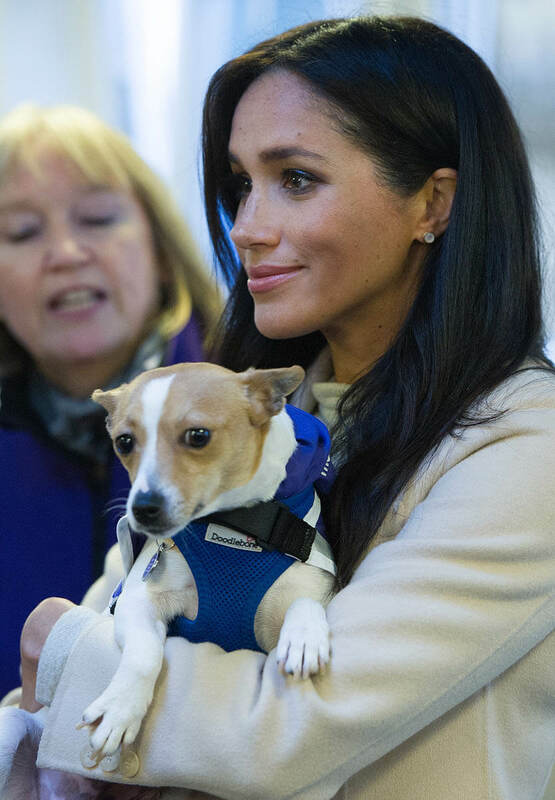 Here’s Minnie in the arms of royalty. She seemed to get pretty comfortable pretty quickly. 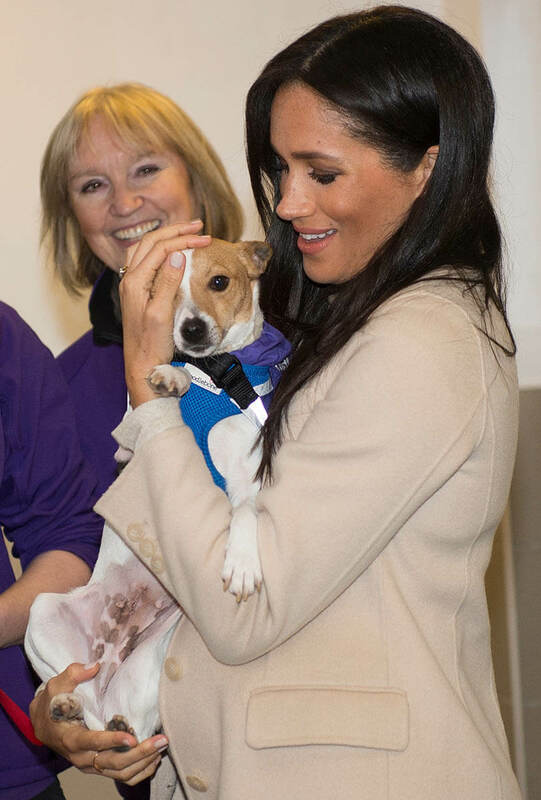 When we have dogs on our show that up are up for adoption, they end up going to their forever homes almost immediately, that’s the effect of being on TV. 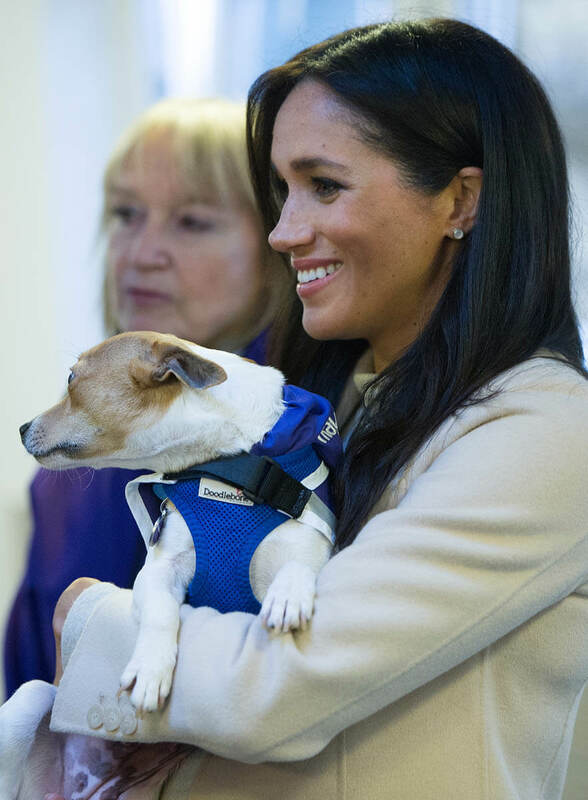 Minnie is still looking for her forever home, although now that she’s connected now with the Duchess of Sussex, that will probably change quickly. 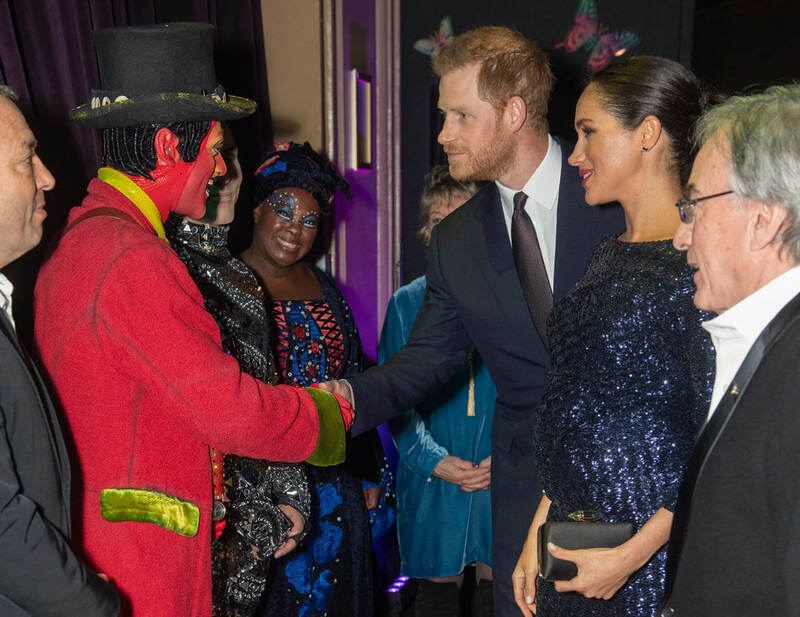 It was a two engagement day for Royal Meghan – tonight she and Prince Harry are at the Cirque du Soleil Totem for a gala benefit in support of Sentebale. 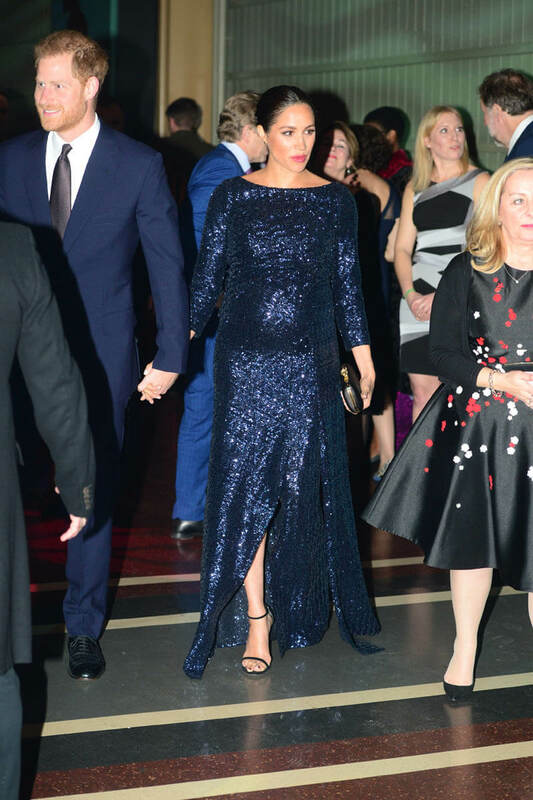 Meghan is wearing sequined Roland Mouret, matching Harry in dark blue, with that bateau neckline that she favours, kinda boring and you wouldn’t look twice at it at an award show but it’s playing very well with the people – which is where a dress on her, and Princess Kate too, has to live. Firmly in the middle. Double Duchess Day is complete. 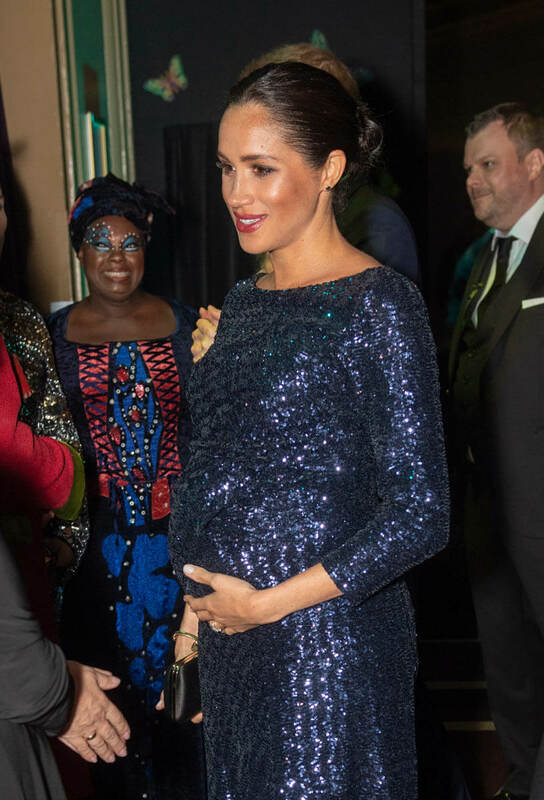 Will Meghan Markle meet Donald Trump during his State Visit in June?